This March we launched our first ever funding scheme with a pot of £15,000 that was shared between nine projects from Levenshulme residents who were chomping at the bit to do something new that coincided with our social aims – exploring new ideas for our high street or creating or growing their own retail enterprises. All our winners have now received their funding and have been beavering away getting their projects off the ground over the last six months and have agreed to share their progress with us…and you! So over the next seven weeks we will share updates from each of our winning projects on what they have been up to since March and how they have spent their funding so far. 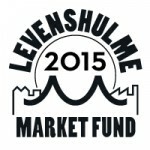 Since receiving the Levenshulme Market fund I have been steadily ticking off the objectives in my bid proposal. The first task was to incorporate Love Levenshulme into a company and develop a business as a not for profit organisation. I have attended several workshops for start ups in order to give the project the best start in life. I completed the initial design and development work in May 2015. The site went live in June 2015. I decided upon a soft launch and was really pleased in the first month of it’s relaunch it reached over 5000 site visits, with over 1700 users, spending an average of 3 minutes on the site. Good beginnings. I have been spending my time since juggling the day to day running of the site, sourcing content and social media management. I have attended community meetings which have helped with devise outreach plans and forge new grassroots partnerships. This September will see the implementation of a ‘pop – up’ hub on the high street. The main objectives of the pop up are to create a hyper- local tourist info point for the area and a visible base for recruitment of traders, organisations and local groups onto the new website. The space will also host a photo exhibition curated in conjunction with local artist Sharah Smith – exploring the diverse range of traders on our high street. This will have an online legacy. I will also be seeking community reporters in the near future. That’s some of the story so far, more to follow!